Few gemstones are endowed with the reputed magical properties and ancient cultural bonds with man as those boasted by the tourmaline, October’s gemstone. Imbued with heritage, history, and a mystical aura, tourmaline gems are known for their free and vibrant colour. The name tourmaline originated from the Sinhalese word “Turmali”, which was used to describe mixed gems and was the name given to all coloured gemstones found in Ceylon, modern Sri Lanka. The name was adopted by Dutch merchants in the 17th century who shipped vast quantities of the gemstone to satisfy growing European demand for mineral curiosities. Known as the “gemstone of the rainbow”, tourmalines are found in an unmatched array of colours which, according to Egyptian legend, resulted from passing through a rainbow during its ancient journey upwards from the centre of the Earth. It is also found in combinations of two or three colours within the same stone, making it the dream of jewelry designers everywhere to work with tourmaline. For over a thousand years, various cultures across the globe have had different interactions with tourmaline, shaping an intimate bond between stone and man that defines the gemstone today. In medieval Europe, it was widely believed that tourmaline possessed medical power, such as the ability to alleviate physical and mental maladies, prevent death, induce a peaceful sleep and dispel fear, negativity and grief. Alchemists prized it for its apparent relation to the legendary philosopher’s stone due to it becoming electrically charged when heated and then cooled. 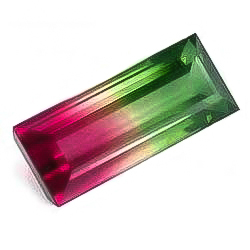 It was also called the “Ceylonese Magnet” by European explorers who were baffled at the phenomenon of tourmaline attracting and repelling hot ashes, later proved to be caused by its unique pyroelectric properties. Because of the wide variety of colours that tourmalines are found in, they are often confused with other gems, such as rubies. 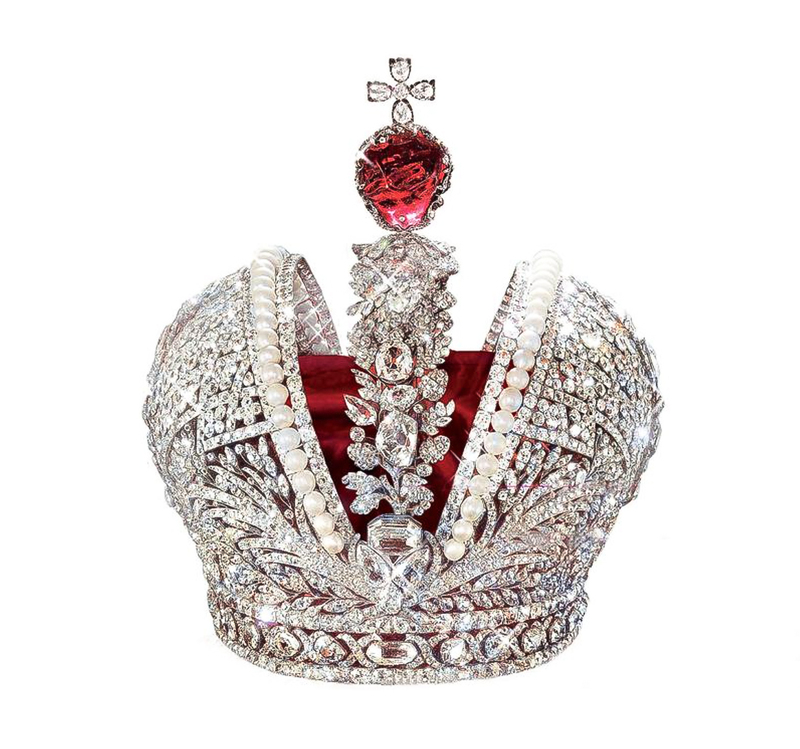 Originally believed to be rubies, the Russian Crown jewels from the 17th century were later revealed to be rubellite tourmalines. Aside from uses in alchemy and jewelry in Europe, a long and flourishing tradition of manufacturing luxury products using tourmaline existed in China. The Chinese have used it to produce exquisite jewellery, decorate intricate snuff bottles and statuettes, and embellish ornate buttons for robes worn by the royal court and noblemen. The gemstone found a special admirer in Empress Dowager Cixi, the last empress of China who ruled from 1861 to 1908. 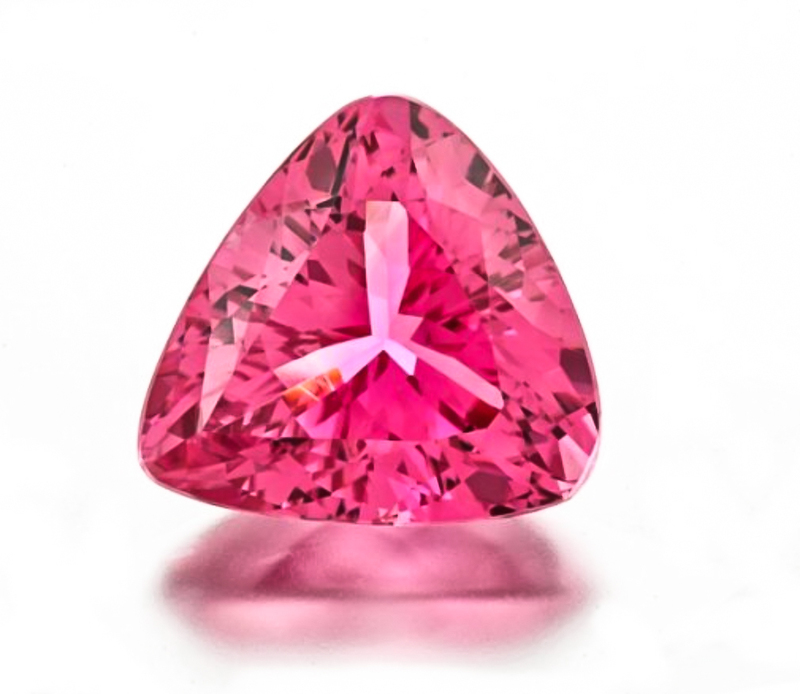 She was especially fond of the rubellite tourmaline, so much so that she ordered nearly a ton of the gemstone to be shipped across the Pacific from a mine in San Diego, California. Unwilling to part with her gems even in death, the Empress was laid to rest on a pillow carved from pink tourmaline. In 1989, Brazilian miners discovered a new kind of tourmaline unlike any before it. Known as Paraiba tourmaline, this spectacular gemstone is found in bright shades of cyan and green. It is now one of the rarest gemstones in the world and eagerly sought after by connoisseur collectors. The largest cut Paraiba tourmaline in the world, known as the Ethereal Carolina Divine Paraiba, is owned by Montreal financier Vincent Boucher. It weighs nearly 192 carats is valued between $25 million and $125 million USD. In modern times, the gemstone is also used by tribal shamans in Africa and aboriginal groups in Australia as a talisman that protects against all dangers, while Native Americans continue a millennia-old tradition of using pink and green tourmalines as funeral gifts. As the traditional home of the gemstone, Sri Lanka is still considered an important source of gem-quality tourmaline. However, today’s biggest suppliers of tourmaline are Brazil, Tanzania, Nigeria, Kenya, Madagascar and Afghanistan. Heat treatment may be used on some tourmaline gems, especially pink to red colored stones, to enhance their color. Clarity-enhancing treatments using oil to make rubellite and Brazilian paraiba appear less included are not uncommon. 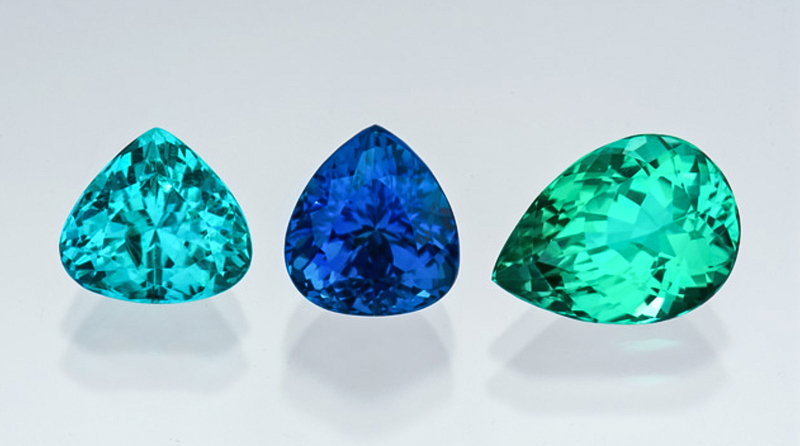 Clarity-enhancing treatment significantly devalues the gemstone (especially paraiba). When considering a purchase of expensive rubellite and paraiba, make sure to ask your jeweller if the gemstone has been treated and how. These gemstones should be accompanied by certification from a reliable lab such as the Gemological Institute of America (GIA). While treatments are common and acceptable, they should always be disclosed so consumers know what they are paying for. The stunning diversity of colours offered by the tourmaline affords the contemporary jeweller a plethora of design options. Beautiful autumn colours of jazzy greens, pastel yellows and deep reds make this gemstone a superb choice for striking pendants, earrings, and rings. 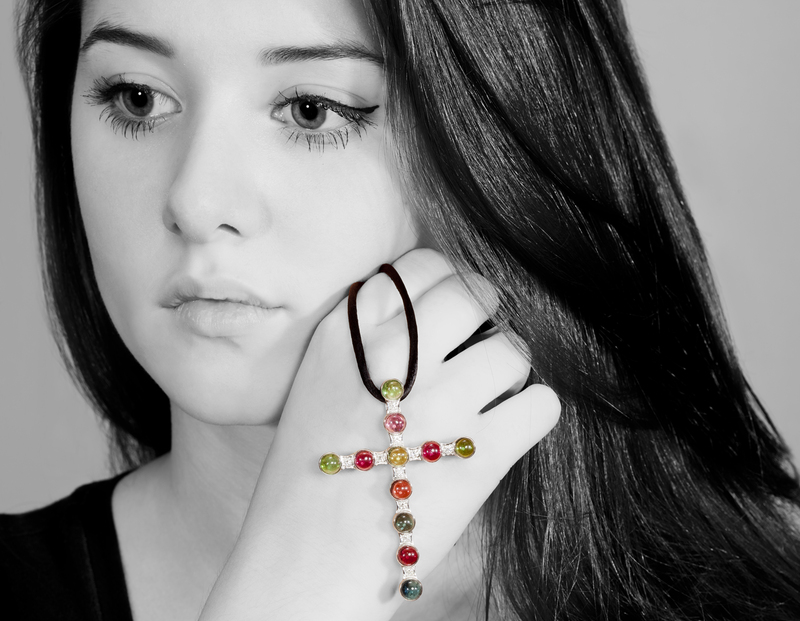 For a more contemporary style, I love to mix the colours and use cabochons, smoothly polished, non faceted gems, in big bold pieces like the Cixi Cross. These gorgeous colours in the gems magnify the colours in the wearer’s eyes, making the gems a must-have addition to any jewellery box. Wear tourmaline with formal wear or wear it to dress up jeans. For an artful and affordable option, consider versatile tourmaline over diamond for a one of a kind contemporary engagement ring. Bi-coloured tourmaline can also be given as an 8th wedding anniversary stone. 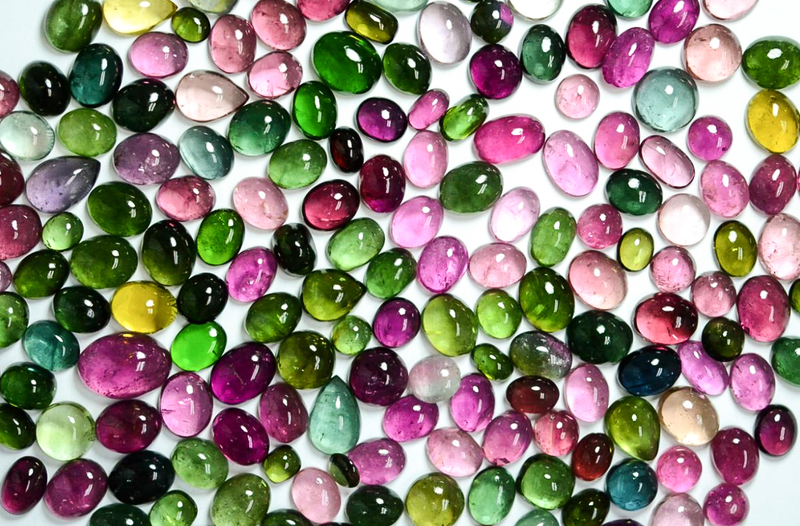 As tourmaline possesses many natural internal characteristics – especially the pink and red gemstones – ultrasonic cleaning machines should not be used. Tourmaline can be cleaned with most commercial jewellery cleaner or plain soap and water using a soft brush. 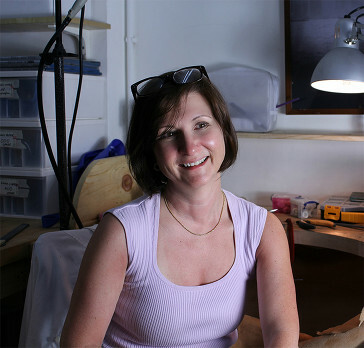 Dede Marconato is a Graduate Gemologist from the prestigious Gemological Institute of America. As a goldsmith, Dede works at her studio bench in Sheung Wan.